Midweek weddings are becoming more and more popular and it’s no surprise why with the average wedding now costing a whopping £25,090. Whilst couples can save thousands of pounds on bookings at top venues, some choose to get married midweek so they actually get the venue of their choice – the best venues are booked up years in advance at weekends, and whilst many couples are happy to wait two years to prepare for their special day, others prefer to work to a much shorter time span. Having your wedding during the week will free up your budget, meaning you won’t have to compromise for less than perfect on your big day. Having a midweek wedding will actually allow your budget to go further, meaning you can have all the extra little touches that you thought you could not afford, making your day even more memorable. For instance, providing guests with quality entertainment. Have you thought about it but are concerned about the price? 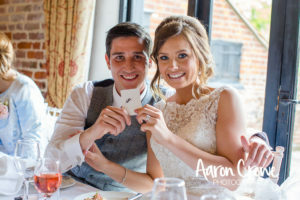 As an international wedding magician, I’m always virtually fully-booked for Saturday and Sunday weddings for over a year in advance, but have far more flexibility on weekdays. The additional advantage of a midweek wedding is that many suppliers also offer discounts, wedding magicians included; some discounts can range from 10%-30%, which means your budget will go even further than you first thought. 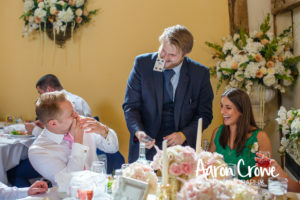 The magic I perform will generate energy and laughter in the room and will have your guests talking about your wedding in years to come and they do…. your guests will tell the story of your wedding and the fun of the evening. The photos capture the magic perfectly. Don’t just take my word for it, take a look at my clients’ page. The total amount of money you get from midweek discount could be the difference between having a moderate wedding in a nice venue, or getting the wedding of your dreams in a fabulous venue, with more money to spend on food, entertainment, and decorations. 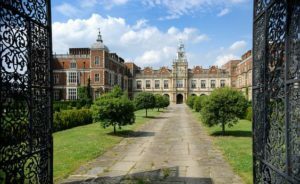 If you’re interested in adding a touch of magic to your big day and would like to know more about my midweek wedding packages you can contact me here or just call me on 07747 141 238.